Back in February I visited the Peak District with a group of friends for the week (for my wonderful fiancee’s birthday) and we took to exploring this lovely national park on foot. Our first walk started at the village of Ipstone and took us on a 5 mile circular route through woodlands, along rivers & streams and along a nice stretch of the local canal. The walk started of pleasantly, barring a few navigational errors brought about by my compass which had become faulty and was pointing south instead of north. 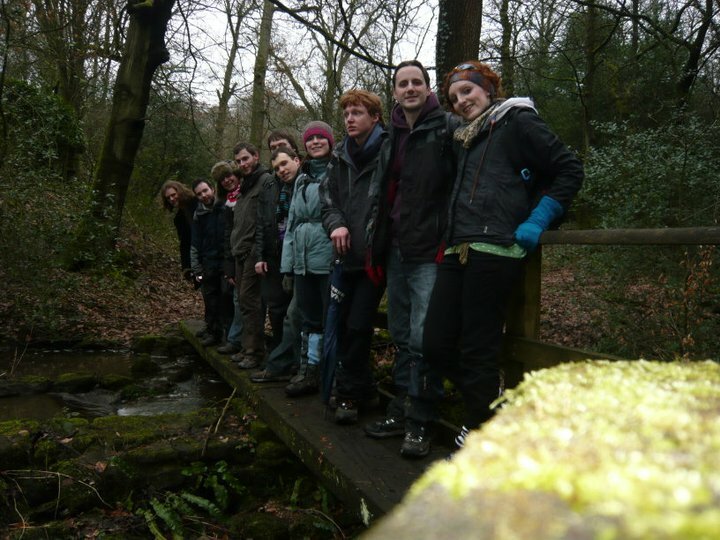 The walk through the forest was fun and we squeezed all 10 of us on a little wooden bridge for a group photo before descending to the canal. 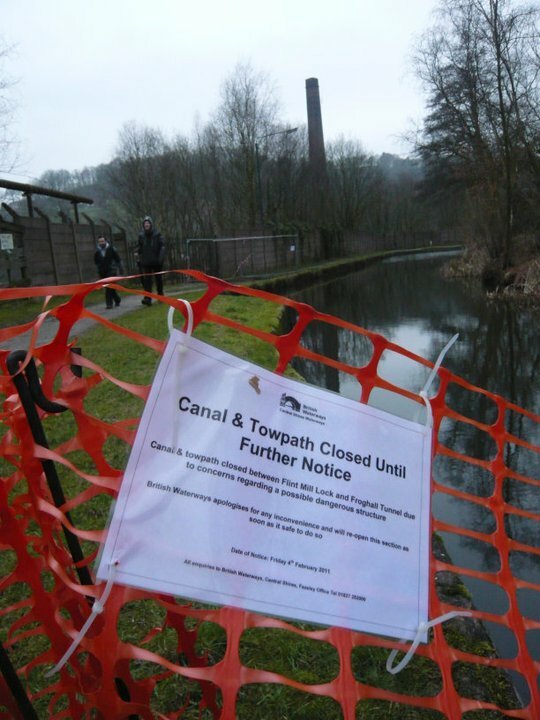 While walking along the canal we where disappointed to come across a closure sign indicating we could proceed no further due to a ‘Dangerous Chimney’ and after a short discussion we decided ‘to hell with it’ and proceeded regardless; and with quite a bit of excitement regarding the danger we where to face. 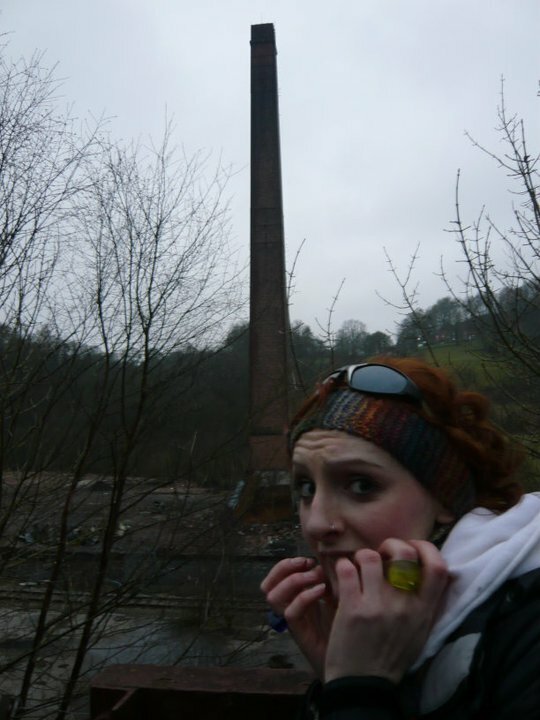 The chimney was not the standard garden variety by any means’;, it was a huge industrial chimney which had once been part of a vast factory that had long been demolished, leaving this unstable towering brick monster. We quickly took a few photos and marched away to safety before anyone noticed us there and found ourselves back at our cars (and the pub) and headed home for some tasty food. May 10, 2011 in Personal, Walking. I object!! It was for my birthday as well as your wife-to-be!! Other than that, good blog!